The tenth Antiquity Days in Pula will be reconstructing the ancient Roman past between June 9 and 11, under the title Pula Superiorvm. For these three days, Pula will reawaken her monuments to Roman influence - the square of Augustus on the Roman Forum, the Sergia family triumphal arch on the Portarata plaza and the famous amphitheater known as the Arena. The opening ceremony will be held at Forum, the main city square, and will include dancing and poetry from the ancient times, as well as numerous dishes served at Roman feasts. 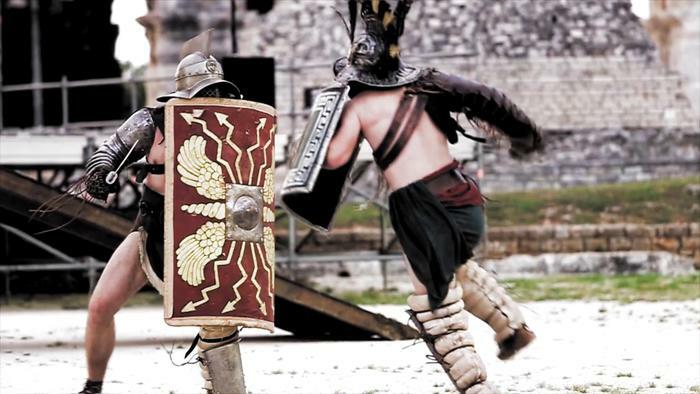 The youngest visitors will find plenty of activity and attraction at Pula's Antiquity Days. At the Forum, visitors will experience an antiquity skills fair, where crafts such as mosaic making, pottery and wheelmaking will be displayed. Tunics will be sold at the Portarata Roman tavern. Aside from the streets bedecked with white tunics, legionnaires' camps will cover the city's parks. At the centerpiece monument, the Arena of Pula, visitors will be entertained by football as played in antiquity, and the entertainment will peak with the gladiatorial fighting which will take place in this first century amphitheater. Take part in the celebration of Roman tradition, the curtain on which will fall in the early morning hours of the Pula Toga party.